A friend of Ginger Cat has started a side line business importing flappers and other decoying stuff from China. We tried the first two prototypes out on peas last summer and both broke down. Another attempt has been made. This flapper is very bulky and in my view the hooks on it do not face the right way whichever way the flapper is inserted into the ground. I have had it working on my work bench with pigeons on it and the present arrangement of the hooks is unsatisfactory. 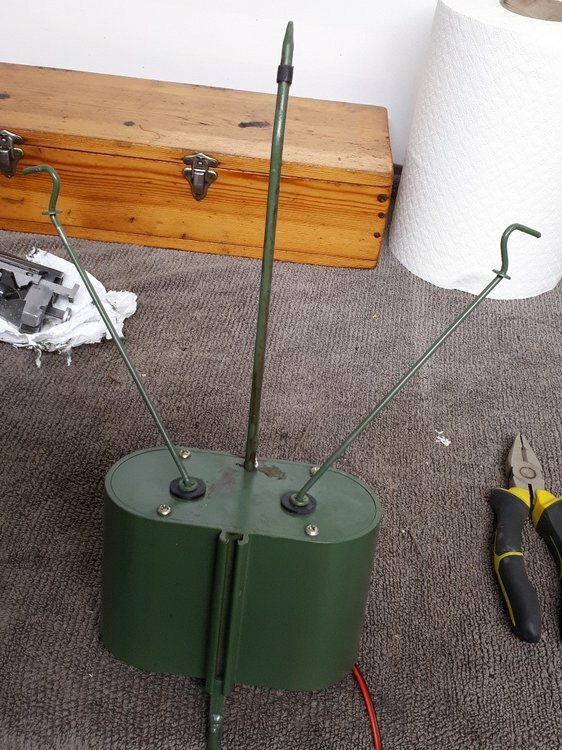 I have no way of knowing the tensile strength of the material used for the flappers rods but I would like to twist them round to the correct position. This flapper is not mine so I will have to be careful. Heating the rods may not be possible with my limited facilities as I do not have a workshop like that of Ditchman. Hi JDog, I hold the wings in position on the Hook,with rubber bands, loop it round the bar below and back in itself put the wing on the hook then come over the wing with the band and onto the hook. I use that method on the magnet and flapper if I ever use it which is very rare. I hope this helps and prevents any mechanical manipulation. Has he put a life insurance policy on you? Would it been possible to leave it as it is and put a crocodile clip on the wing joint once it have been attached ? Buy and use a food bag or garden plant twist ties, cheap and simple. All practical solutions from those who have been there and who know. I agree, Ditchman`s solution was a good practical solution, but we are talking about JDog here, who, by his own admission, has `limited facilities`, whatever they are. No good for Fat Sarah methinks.